Railpictures.ca - Bill Thomson Photo: The joint VIA-Amtrak “International” is seen passing under Bathurst Street Bridge on a sunny Sunday. Amtrak F40PH 363 leads five Amfleet passenger cars, with three VIA Tempo cars tacked on the rear end. | Railpictures.ca – Canadian Railway Photography – photographie ferroviaire Canadienne. Caption: The joint VIA-Amtrak "International" is seen passing under Bathurst Street Bridge on a sunny Sunday. 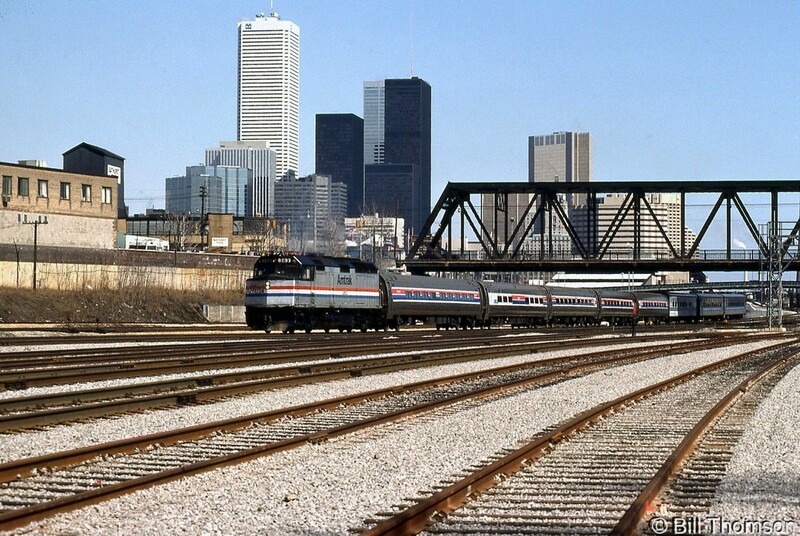 Amtrak F40PH 363 leads five Amfleet passenger cars, with three VIA Tempo cars tacked on the rear end.